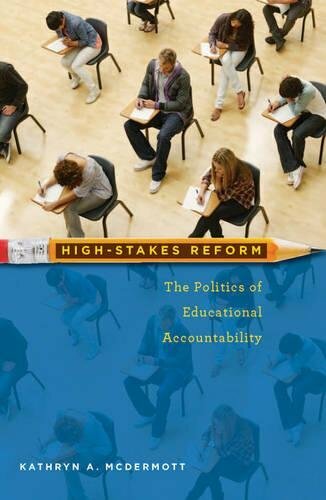 A variety of factors have contributed to a recent slew of books addressing the issue of educational accountability in public schools and the politics behind it. The most recent reauthorization of the Elementary and Secondary Education Act took place in 2002 in the form of No Child Left Behind (NCLB). The stated goal of NCLB is that by the year 2014 all students will meet standards (there is literally no opportunity for the purposes of this review to go into the complicated questions of what standards, how proficiency is measured, the system of sanctions, the issue of funding, and some questionable legal concerns related to conflicts with IDEA law). The underlying premise is that schools can no longer be satisfied with aggregate measures of achievement. Under the new paradigm, they must also be accountable for traditionally underachieving populations such as students who come from impoverished backgrounds, ethic minorities, and students with disabilities. The bill is one of the largest bipartisan pieces of legislation ever. Political considerations have postponed the reauthorization for over two years, leaving many schools in limbo as to what to expect. For many, this legislation has become more an exercise in compliance than school improvement. The current Obama Administration, led by Department of Education Secretary Arne Duncan, is pushing teacher effectiveness and competitive grants. Critics would suggest that the point of NCLB is not to strengthen public schools—quite the opposite. They argue the agenda is to dismantle them. What is indisputable is that the legislation led to the greatest intrusion of federal involvement into education in history, which was traditionally a matter left to the states and other local agencies. What separates Kathryn McDermott’s foray into the subject from others is her unique underlying premise around which the book is organized. She does not argue the relative merits of accountability or the perceived strengths and weaknesses of the law. Instead, she asserts that what’s new is not accountability for public schools per se but, rather, what they are actually accountable for. She details the shift from a focus on equity, which was spurred by the 1954 Brown vs. Board of Education decision, to a focus on outcomes and the subsequent funding implications. The shift has resulted in greater centralized authority in intergovernmental relationship (i.e., more federal involvement in public schools). This shift was not without problems for states, many of which had implemented systems of accountability and were dealing with their own lawsuits related to equity of opportunity and adequacy of funding. To illustrate the matter, she presents a case study of three states: Massachusetts, Connecticut, and New Jersey. All three states were relatively affluent as compared t the national average. While spending more per pupil, they spent a lower percentage of their overall revenue on public education than the national average. Massachusetts called its program the “grand bargain:” increased funding for increased accountability. Connecticut’s program focused less on sanctions, New Jersey on state takeover of struggling schools. Through each of these examples, the complications of trying to educate students and hold schools accountable in this new highly politicized era are adeptly illustrated in a clear and understandable manner. Author McDermott’s book is not a duplication of “the same old, same old.” It is a noble effort to advance the common understanding of the variables at play in this complicated and important conversation about the future of public education. It is also not a shot at any of the players. Through a reasoned discussion of the issues, it is an attempt to help us all move forward in a positive direction, rather than one that is detrimental to all—most notably, the children.